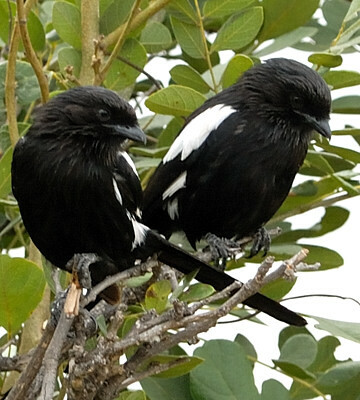 Regarding the upper photos: two magpie shrikes were sitting in the bush when two more flew in; the first two began to display while the others sat passively. 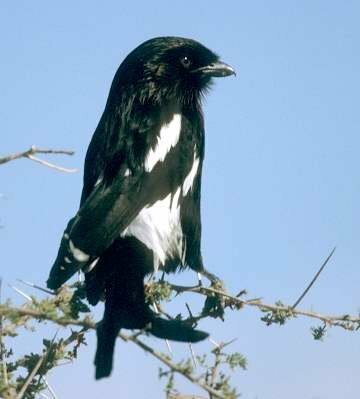 The display was brief and all four then flew off (Tarangire, 1-97). 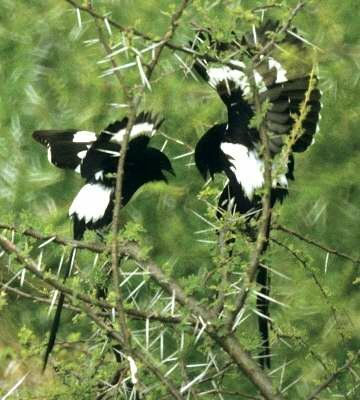 The 2nd row photo was taken in Tarangire (3-15), courtesy of Stuart Webb; the 3rd row flight photo (Serengeti, 2-17), courtesy of Paul Oliver. 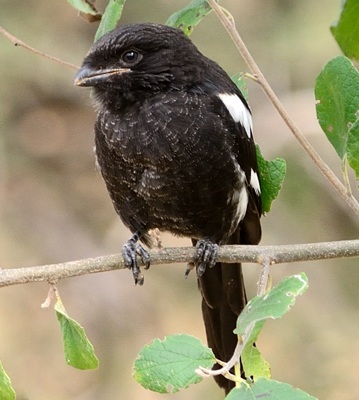 The left 5th row bird was seen in Ruaha (7-02). 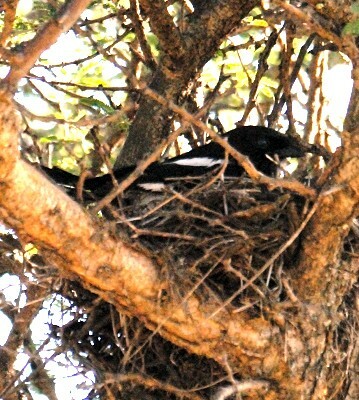 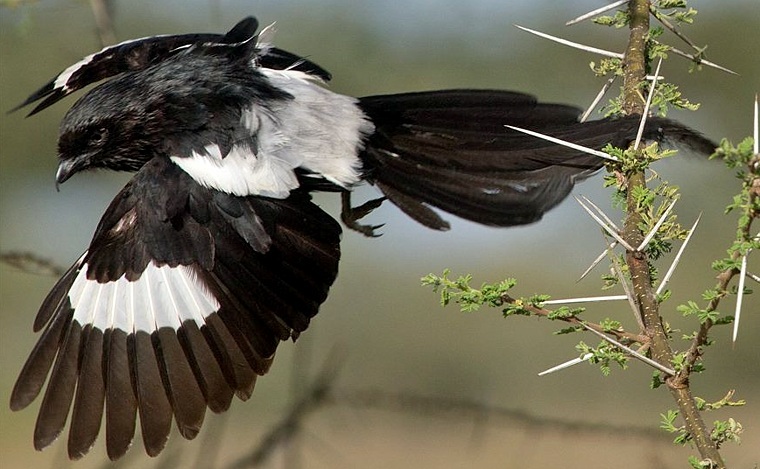 The bird sitting on a nest in a small acacia tree was at Pofu campsite in the Serengeti (6-11). 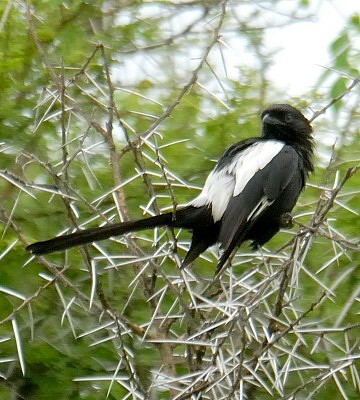 The other photos were taken in Tarangire. 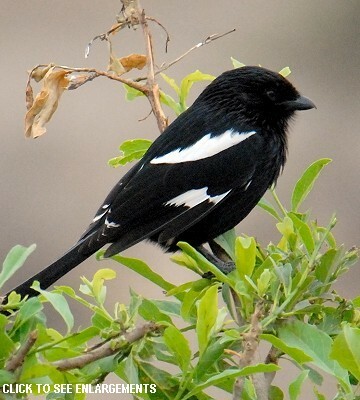 Click the photo above to see 20 enlargements including immatures and juveniles.